People – unresolved or incomplete conversations regarding your money with your business partners, family, employees, etc that need to be completed. Phone calls, emails and requests that need to be made. Places – the physical environment –your office, work space or room in your home that may be unorganized or cluttered. How does Money Clutter affect Your Life and Your Business? So what does that mean for you? Everything in your environment that relates to money is either supporting you, giving you energy and moving you closer to your goals or it’s sabotaging, draining you and keeping you further away from your goals. Get Clear on the desired results or goals you have for your Money and your business. Identify the People – Places – Things in your Money Environment – you can begin by making a list and then identifying the recurring activity. i.e. People - Conversations with Business Partners, Accountant, Coach. Places - where you pay bills, schedule payments, collect fees, file documents. Things - Files, supplies, paperwork, software programs, computer, etc. Leverage Resources – list the resources you already have in place in your money environment in each of the areas of people, places and things and rate how they can support your goals and desired results. Note what resources are missing and any that you would like to put in place. i.e. People - team member that is skilled in money activities, accountants or bookkeepers. Place - office or space set up to handle money activities. Things- supplies, software, filing systems, equipment. Tolerations – identify what you are tolerating with your money clutter– what’s broken, a mess and missing. Zap your tolerations by fixing something that’s broken, cleaning up a mess, replace something that’s missing. Uncover the underlying payoffs you are getting from keeping your money clutter the way it is. Your environment is a reflection of what’s going on inside – it’s important to consider the payoff you're getting from your money clutter otherwise if you just clear the physical clutter, it may re-appear because you haven't revealed and shifted the hidden intentions that are running in the background. i.e. 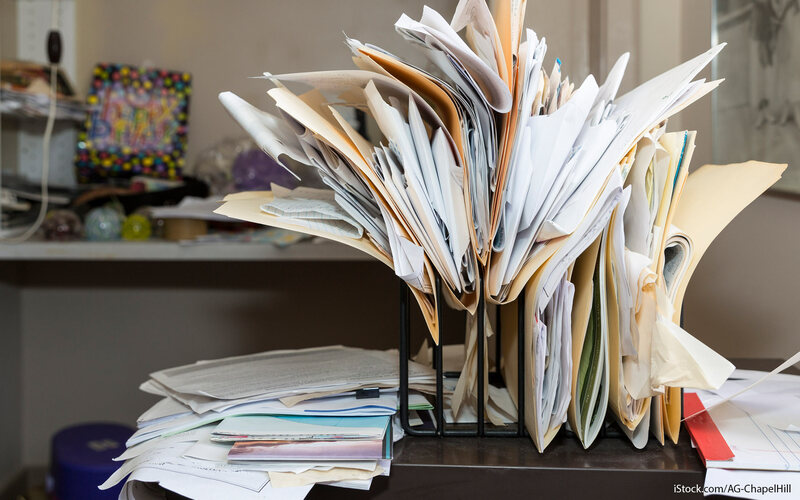 you may be resisting clearing up disorganized bills or stacks of paperwork because you have a fear of not having enough money to pay the bills or guilt about money you've spent. In some way keeping the money clutter is serving you in a negative way and keeping you from achieving your money goals. Are You Ready to Eliminate Your Money Clutter? I've created a resource to help you get started! The Money Clutter Environmental Scan is a powerful tool that will help you take a look at and assess the environments of People Places and things as they relate to your money so you can create more Time, Energy and Income!